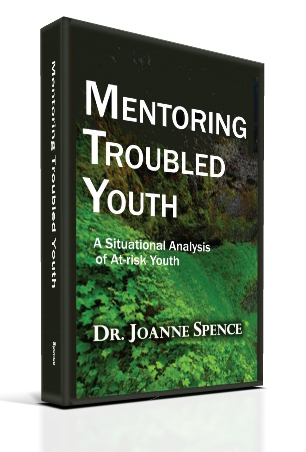 Joanne Spence is a motivational coach, lecturer, and behavior change therapist with a compelling interest in mentoring young people in difficult situations. She received a Bachelor?s degree in Social Work with a minor in management information systems and a Masters degree in Mediation with concentration on youth development at the University of the West Indies, St Augustine, Trinidad. Joanne is presently pursuing a Doctor of Philosophy in areas of youth development with Oxford Graduate School. Joanne is the chief consultant at a consulting firm in Trinidad and provides services in counseling, mediation and conflict resolution. She is also founder and director of The Mentoring Centre of Trinidad and Tobago.? She is the author of three books, and wrote articles for several journals and magazines on topics such as youth crime and delinquency, and conflict resolution.? She presented academic papers on crime and delinquency both at local and international forums. Joanne is also the mother of three. Her career and professional objective is to develop a working model for a National Mentorship Program in Trinidad and Tobago that could be replicated in other countries with similar needs. Those interested in initiating a mentoring program and desire consultation, may contact the author for guidance, materials, or to schedule a conference, workshop, or policy consultation. Contact Joanne at ConsultOnYouth@gmail.com or Joeconsultancy@hotmail.com. Parenting and the home environment are normally blamed for the troubles experienced by young people. This is an over simplification. The record demonstrates that good parents can have troubled children, and it is obvious the good children often come from less than perfect parenting and schooling. The community, the school, the 24/7 media, the Internet, drugs and the criminal element share blame with the environment. The issue is not whom society will blame, but how can the circumstances be altered that put young people at risk? This book is part of the solution - a mentoring program.